When teaching middle school language arts, it is good to express some creativity when assessing students. Instead of sticking to traditional tests, papers and book reports, teachers can provide students with opportunities to complete projects that allow them to express their creativity while still showing what they know. After students read a novel, they can create a magazine or newspaper based on elements of the book. Included with the magazine or newspaper, students could conduct an interview with a character, write a letter to the editor discussing the theme of the book, create a comic strip to describe an event in the book, write a short article on an event in the book, write horoscopes to fit the characters, or create advertisements that connect to the book. 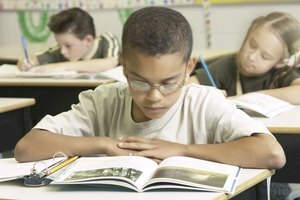 Students can turn a piece of literature into a play or write their own play to perform based on a common theme. Along with writing the play, students should design costumes and props and stage a performance of the script. If students are reading a play, such as "Romeo and Juliet," they can translate it into modern language and then perform it. When teaching students how to be persuasive, hold a class debate. Students can take opposite sides on a popular school issue and present their case to the class. They will prepare for the debate by creating note cards with examples to support their points and rebut the opposing side's points. Whether students use it for a research project, to write an autobiography, or to sum up a novel or concept, they can create an ABC book. In the book, they find a word for each of the 26 letters of the alphabet that relates to the topic they're writing about and add a sentence or two to further describe how the word connects to that topic. Instead of having students write a traditional book report, give them a list of alternate assignments to choose from. 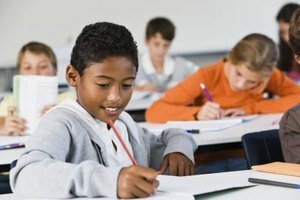 Students could write a poem or a song about the book, interview the main character, identify difficult words and define them, create a comic book, write a movie script, design costumes for the characters, write an alternate ending or the beginning of a sequel, and numerous other activities. Providing a list of alternate activities ensures that each student can find something interesting and makes it easier to meet all of the various learning styles. Zeiger, Stacy. 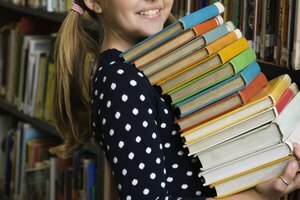 "Fun Language Arts Projects for Middle School." Synonym, https://classroom.synonym.com/fun-arts-projects-middle-school-5907041.html. Accessed 24 April 2019.